6 DEGREES: FUELLING THE CULTURE OF INCLUSION — Nordest Studio | Marketing & Production agency based in Toronto. 6 Degrees is a dynamic multi-venue event that addresses issues surrounding citizenship, social justice, and politics within a wide-ranging roster of highly regarded thinkers, writers, artists, activists, and dignitaries. For 6 Degrees Citizen Space 2017, Nordest joined the team by supporting with segment producing and production management. Our team's services encompassed multiple key elements including planning, coordination, backstage management, liaising with a plethora of teams, and managing the on-site experience. Expanding 6 Degrees to online audiences, we also produced and directed the official live stream in 360, broadcasted via Facebook. Nordest produced the LaFontaine-Baldwin Lecture, featuring Michael Sandel on the topic “Does Democracy Have a Future? 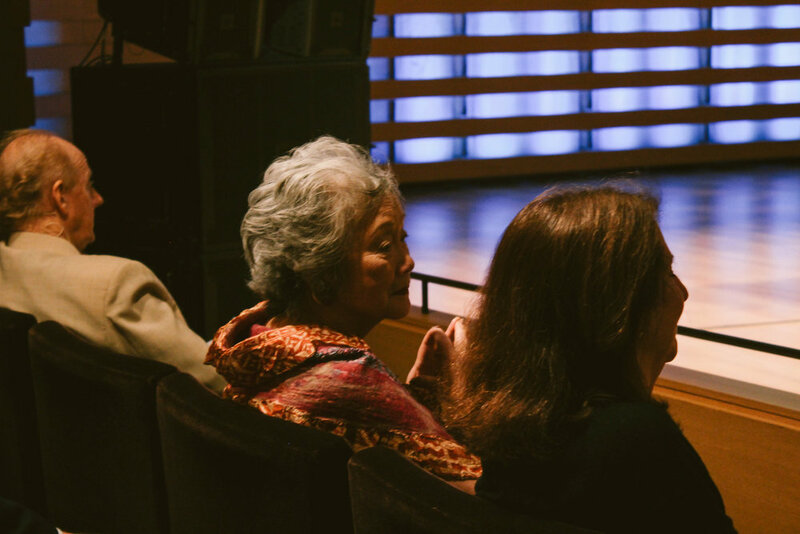 Political Argument in the Age of Trump” and the Adrienne Clarkson Prize for Global Citizenship, awarded to internationally renowned artist and activist Ai Weiwei. Our team managed the event production and show call for the Canadian premiere of Ai Weiwei’s film “Human Flow” at the Isabel Bader Theatre. This also included liaising with Ai Weiwei for a post-film Q&A. Nordest managed production, overseeing all technical elements of the venue including discussions featuring notables such as Kent Monkman, Adrienne Clarkson, and Margaret Atwood. Additional services included floor direction, show calling, and overseeing art installations.